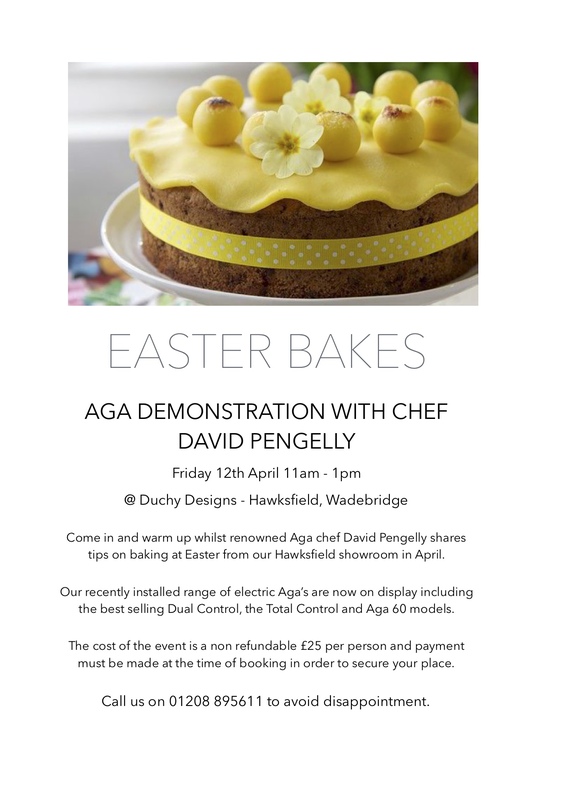 Come in and celebrate Easter with renowned Aga chef David Pengelly sharing tips on preparing and serving Easter delights at our Hawksfield showroom in April. Our recently installed range of electric Aga’s are now on display including the best selling Dual Control, the Total Control and Aga 60 models. The cost of the event is a non refundable £25 per person and payment must be made at the time of booking in order to secure your place. Call us on 01208 895611 to avoid disappointment.